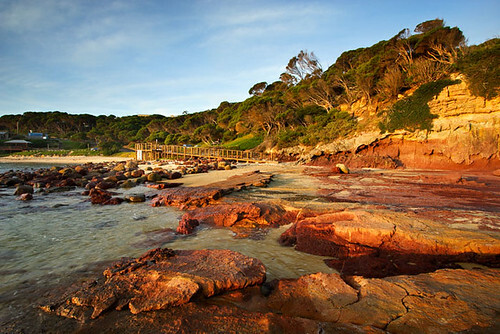 I've released a product for businesses that are seeking a large collection of Sapphire Coast images. The images contained on the Sapphire Coast Photography CD are designed for businesses who desire to showcase the region on their business website with the intention of increasing their clientele. 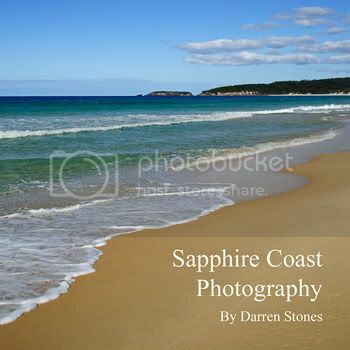 The Sapphire Coast Photography CD is available to purchase with all images contained subject to licensing. Images are supplied on CD by post. 50 photos PLUS 10 bonus photos = 60 photos. Images can be previewed online. $330.00 Includes GST and postage within Australia - Unlimited years licence. Hi folks, the Darren Stones Visual Communications Newsletter January 5, 2011 has just been compiled. Darren Stones Visual Communications Newsletter January 5, 2011 - PDF opens in new window. Please note: This competition has been cancelled. My apology for any inconvenience. Friday 4 February, 2011 - Darren Stones. Hello and welcome to the Let's See Australia travel journalism and photography competition. This is the inaugural competition for Discover Australia magazine in its new format. Discover Australia magazine recently changed from a PDF-style magazine to a new website format whereby providing a better platform for growth, whilst also offering greater opportunities for those wanting to improve and share their skills and become published alongside industry professionals. Discover Australia magazine is respected by industry professionals for the opportunities it's offering writers and photographers, and is well supported by most major Australian tourism image libraries. The birth of Discover Australia magazine was within the Australian Travel Photography and Writing (ATP&W) group, which was founded by Darren Stones in December 2008 at RedBubble. The group is now on the verge of reaching 1000 members and it's been envisaged that accelerated growth will occur with the ATP&W group and Discover Australia magazine being affiliated. So, what's the Let's See Australia competition about? As you can read below, the guidelines offer scope for travel writers and photographers to exhibit and hone their skills, whilst also having the opportunity to have their works published. There are prizes being offered with the view of encouraging and inspiring entrants in this area of journalism. Travel journalism and photography tutoring by Darren Stones. Retail value $110.00. Article to be featured in Discover Australia magazine. Entries close Monday March 14, 2011 at 9am (Melbourne time). This competition information can be viewed in PDF format and saved and printed. Happy New Year to you. The Australian Travel Photography and Writing group will be launching brand new competitions soon which promise to reward people like you who have a passion for Australian travel writing and photography. We're also spreading our wings wider in 2011 via the Discover Australia magazine website, Facebook and Twitter. The group has successfully mentored two members with their travel writing and photography in a friendly private group during late 2010 . Malcolm Daughtree and Ross Brighouse have improved the standard of their work and have both been published online in Discover Australia magazine. See link below to Discover Australia. Folks, the Australian Travel Photography and Writing group continues to provide excellent learning opportunities for its members, and has a solid track record of doing so since launching in December 2008. You simply cannot beat drawing on the experience of professional people who have knowledge and skill, and importantly, a willingness to assist members to improve their skills. The Australian Travel Photography and Writing group goes beyond just showing works - we promote works, assist our members, and continue to inspire them and reward them. Become an active member today and you'll soon discover your standard of work improving.